Abdulaziz Al Ghurair - Who is Abdulaziz Al Ghurair? Who is Abdulaziz Al Ghurair? Head of Mashreq Bank, a leading United Arab Emirates commercial bank founded by his father during the Gulf's first oil boom in the 1960s. Bank profits were down across the region this year,[when?] but his family's diverse holdings in real estate, cement, contracting, publishing, residential care and petrochemicals, among others, has helped soften the blow. Food division, headed by his brother Essa, includes the Middle East's second-largest flour mill and ubiquitous Masafi mineral water. Al Ghurair chairs the Arab Business Angels Network, an organisation that seeks to match angel investment funding with startups by Arab entrepreneurs. His wife is the major shareholder in Four Seasons Health Care LTD, the largest private health care group in the United Kingdom. Abdul Aziz Al Ghurair is Speaker of the House of the Federal National Council (FNC) in the United Arab Emirates (the UAE Parliament). 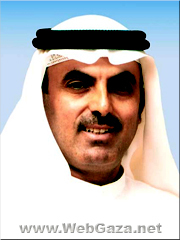 Abdul Aziz Al Ghurair is also the CEO of Mashreq Group. He was appointed to the role in 1990 and has since steered the bank into becoming a world-class financial services institution. Under his 17-year tenure the bank’s assets have risen to AED 72.6 billion as of June 2007—a 50.3 per cent increase from 2006. Driven to lead the UAE banking industry, innovative milestones include Mashreq being the first to launch ATM machines; debit and credit cards; travellers' cheques; consumer loans; Point of sale (POS) terminals; Bancassurance products; mortgages, digital chip enabled credit cards; and the widely popular Mashreq Millionaire rewards-based savings programme. His endeavours have earned the bank many international accolades, most recently winning the ‘Best Bank in the UAE’ Award 2006 from Euromoney magazine and the MasterCard Product Award for Mashreq UAE E-Gate Prepaid MasterCard card. Al Ghurair trained as an industrial engineer and gained an honours degree from California Polytechnic State University. He joined Mashreq in 1977. He worked in various capacities till 1988 and he took over responsibility for the bank’s international operations, setting up branches in New York—USA, London—UK, Bahrain, Qatar, Egypt, India and Pakistan. He was appointed Executive Director in 1989 and became CEO the following year. He is also President of the Al-Ghurair Group, one of the biggest and most successful business groups that employ 65,000 people and he sits on the Board of Directors of the Dubai International Financial Centre, Emirates Foundation and Dubai Economic Council. Mr. Al Ghurair is a member of the Governing Council of the UAE Higher Colleges of Technology and is Chairman of Masafi, RAK Petroleum and the Endowment Fund. He previously sat on the Board of Directors of companies such as Emaar, Dubai Investments, Visa International and MasterCard and Dubai Chamber of Commerce and Industry. Abdul Aziz Al Ghurair is a continuing supporter to many charitable organizations and initiatives in the local and international arenas such as the UNICEF, UNESCO, Planet Finance and the UAE Disabled Sports Federation. Abdul Aziz Al Ghurair was part of the highest-level official delegation from the United Arab Emirates ever to visit the Vatican met with Pope Benedict and Cardinal Bertone, on the 21st October 2008. He also has been honoured with a special Lifetime Achievement Award, at the CEO Middle East Awards.